Right now, there is a crew of carpenters, sheet-metal workers, repairers and others who have been working day-in and day-out trying to repair and maintain some of the T’s oldest cars, the ones on the Orange Line. There’s even one car, subway car 31, that is more than 60-years-old and has logged nearly 2 million miles during its time on the tracks, according to the Boston Globe. According to Massachusetts Bay Transportation Authority (MBTA) repairman Dave Campbell, fixing these old cars takes a lot of new-age technology. They use laptops to test out the 1970 a/c units in the cars and replace some of their parts with some of the parts from the newer Blue Line cars. Maintenance officials are even using deli-counter hairnets to help to protect sensitive traction motors from snowdrifts. It’s all a way to help to protect riders, to keep the cars working and to reduce the risks of MBTA accidents in Boston in the middle of a financial crisis. Our Boston personal injury attorneys understand that the cars on the Orange Line were built back in the 70s and the 80s. It’s not that they were built back then that’s concerning officials, it’s that they’re only designed to run about 25 years, and that’s only if they’ve had some major repairs and component replacements. They typically don’t last that long, especially under the demands of Massachusetts’ travelers. The problem is that it would cost about $500 million to replace the more than 150 cars. That plan is still another 5 to 10 years out. Instead, officials are using a portion of their $4 billion replacement/repair backlog to help to improve the system and the cars for transporting nearly 1.5 million riders each weekday. The T isn’t doing too well. It’s not only fallen behind on revenues, but it’s also behind on fares and state sales tax. Most every fare dollar that makes it to the T is used to pay off its debt. A lot of this debt is the result of the expansion project on Beacon Hill. Costs such as fuel, electricity and employee health insurance have outstripped inflation. At the same time, the T’s ridership has increased dramatically. 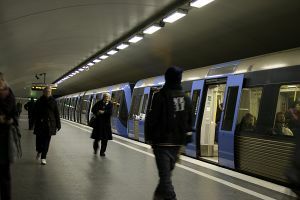 Increases, according to travel experts, are the result of more people living and working near T stations in addition to the high gas prices. These factors lead to more people on the platforms waiting for the aging and overworked trains. With these conditions, trains are more likely to break down and riders are more likely to experience delays. To help to keep the flow going, MBTA officials are turning to quick and low-cost fixes to compensate for the deferred long-term investment. MBTA riders are urged to be cautious when riding the T. Schedule in delays when planning your trip. Always have a backup plan when traveling. You never know what can happen. If you or a loved one has been injured or killed in an MBTA accident in Boston or in any of the nearby areas, contact Personal Injury Attorney Jeffrey S. Glassman to set up a free and confidential appointment to discuss your rights. Call 877-617-5333.